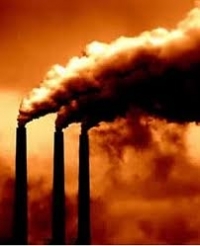 South Africa delayed introducing a carbon tax until 2015 after objections from metals companies such as ArcelorMittal South Africa and Gold Fields. The tax of 120 rand ($14) a metric ton of carbon on 40 per cent of a company's emissions will rise 10 per cent a year until 2020, the National Treasury said today in its Budget Review in Cape Town. The government is also considering scrapping an electricity levy over the same period, it said. The Treasury previously said it would impose the carbon tax, initially proposed in December 2010, from April 1. “By pricing the external costs associated with carbon- dioxide emissions, incentives will be created to change behavior and encourage energy-efficiency measures,” the Treasury said. South Africa will probably raise 8 billion to 30 billion rand a year from the proposed tax, Cecil Morden, chief director of tax policy, said in an interview. The Treasury will release an updated policy paper for comment by the end of next month. The country said in 2009 it would try to cut emissions 34 per cent by 2020 and 42 per cent by 2025 on condition developed countries offer money and technical assistance. Carbon released may peak at 614 million tons by 2025 and a maximum 428 million tons by 2050, according to government estimates. While the Treasury says some revenue from the tax will fund incentives to spur energy efficiency, mining and manufacturing companies believe it's unaffordable and will deter investment.